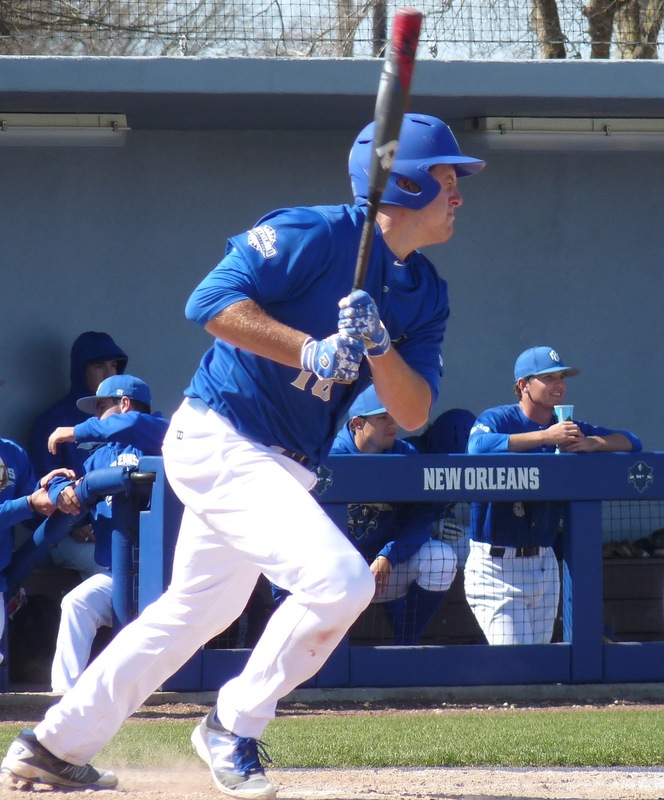 For the second consecutive day, New Orleans and Troy went to extra innings at Maestri Field. But on Sunday, the outcome wasn't as happy for the Privateers (6-2), who fell 4-3. In the top of the tenth, two tough plays that could have been made but weren't -- a screaming liner off the glove of second baseman Sam Capielano and a sinking liner off the glove off left fielder Dakota Dean -- opened the door just enough for Troy to take a 4-3 lead. In the bottom of the frame, the Privateers got back-to-back walks to put runners on first and second with nobody out for Tristan Clarke. But Clarke, after getting ahead 2-0 and 3-2, flew out. Hezekiah Randolph grounded to the pitcher, and after an intentional walk to John Cable, pinch hitter Jay Robinson struck out looking. Cable had a tremendous day for a Privateer offense that was otherwise held in check in consecutive games by the Troy pitching staff. Cable went 3-for-4 with two doubles and a triple.